Social media is defined as ‘websites and applications that enable users to create and share content or to participate in social networking’. According to Skills for Health, 58% of adults in the UK use social media sites, with more than 40% saying information found via social media affects how they manage their health. The most popular sites include Facebook, LinkedIn, Twitter, and more recently Instagram and Snapchat. All allow users to make connections with an audience of people who they may or may not have met in real life. Broadband, and particularly smartphones, which enable users to access mobile networks wherever they are, have fuelled the rise of social media. Some see it as a curse, others a blessing. Who’s right? Social media is a tool – so as with any tool, this depends on who is using it, how it’s being used and their motivation. Used wisely and with care, it can deliver many professional benefits. According to the Nursing and Midwifery Council’s (NMC) Guidance on Using Social Media Responsibly, these include: building and maintaining professional relationships; establishing or joining support networks to discuss specific interests, issues, research and clinical experiences with other healthcare professionals globally; and accessing resources for clinical development. Social media may also help you land your next job, with employers increasingly using it to recruit staff by sharing vacancies on their Facebook page, using LinkedIn to approach potential candidates and inviting nurses to blog about what’s it’s like to work for them. Acting in ways that are unprofessional or unlawful on social media can jeopardise your registration, or ability to register if you’re a student, says the NMC. Examples are sharing confidential information inappropriately; posting pictures of people receiving care without their consent; posting inappropriate comments about patients; bullying, intimidating or exploiting people; pursuing relationships with patients; stealing someone’s personal information or their identity; encouraging violence or self-harm; and inciting hatred or discrimination. You also have a professional duty to report any concerns you may have about a nurse or midwife using social media in any of these ways, says the NMC. Also fraught with risk is offering individual health advice via social media, even if well intentioned, as you are subject to the same accountability and liability as you would be in your workplace. Instead, people should be advised to consult a healthcare professional. Can what I say on social media be read by everyone, including my managers or patients? Anyone can Google your name or look at your Twitter profile and it can be hard to permanently delete social media posts, as screen shots are easy to take. See the flyer produced by NHS Employers for information on how to check your Facebook privacy settings, including what others see when they view your profile and timeline. If I get it wrong, could I lose my job? Improper use of social media has led to a number of nurses being removed from the NMC’s register. A freedom of information request from Nursing Standard showed that from 2012-15, 20 nurses faced fitness to practise proceedings in relation to social media use, leading to eight nurses being removed and another three suspended, while six were given cautions and the other three had other forms of sanctions. Misconduct included seeking out inappropriate friendships with patients or colleagues, making explicit, racist or sexist comments and airing grievances publicly. 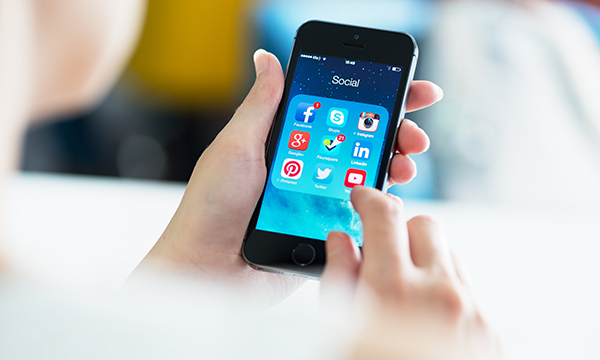 How can nursing staff use social media to promote the profession? Last year, as part of its annual Nurses’ Day celebrations, the RCN used the hashtag #nurseheroes to encourage everyone to share their stories of nursing staff who have made a difference. It generated more than 500 contributions from healthcare staff, patients and their loved ones. Another example was in December 2014, when lead nurse for research Clare Whitehouse established the #WhyWeDoResearch campaign. Clare and her team at James Paget University Hospitals NHS Foundation Trust in Norfolk posed for photographs, each holding a placard explaining in simple terms why they do research. Initially posted on the trust’s Twitter account, what began as a local initiative has now reached 23 countries, with more than 17,000 participants – including patients – and in excess of 300 million impressions or views. In 2016, they hosted the world’s first research Tweetfest, posting different topics for each of five days. Being an agency nurse for seven years and feeling increasingly isolated professionally led Teresa Chinn to start her first Twitter chat in 2011, with the hashtag #WeNurses. Evolving quickly, today #WeNurses has more than 71,000 followers and chats are held at least once a week, with many senior nurses regularly taking part. Other specialist communities have formed since, targeted at different nursing specialties, including mental health, learning disability, and children and young people. What should I do if people disagree with my post or blog, or are hostile or rude to me on social media? Just as in real life, there will always be people who don’t agree with what you say, and that’s fine as long as it remains a civil discussion, not an argument. Socal media users should respect each other’s right to hold different opinions. If someone raises a specific criticism of a blog or post you’ve made, let them know you’ll be responding, after you’ve had the chance to consider what they’ve said. Remain calm, polite and measured, then seek advice from a colleague or manager, and refer to your organisation’s social media policy before you contact them again. I’ve never used social media professionally. How do I get started? Take it slowly and watch how others use it first, says NHS Employers. It also advises reading your employer’s policy covering social media use at work, both personal and professional. The Skills for Health toolkit provides comprehensive guidance. It includes an overview of the most common platforms and their different advantages, tips on how to engage your audience and examples showcasing best practice. If you’ve never used Twitter, the RCN has produced a short guide on getting started, including registering, following, mentioning and liking, and using hashtags. #WeCommunities has useful links to a wealth of resources to improve your knowledge, including advice on using Twitter chats to improve your professional development, Twitter chat ‘netiquette’, and links to guidance produced by other healthcare organisations.